Just got to rank 40 with this midrange list, it's been pretty smooth. It's straightforward. Against fast aggro decks, grind them out and beat with power and value of 4+ drops. Against slower decks, go to town with 2 drops and hasty vehicles. I've included standard green pack of Sylvan Advocate and Tireless Tracker, as I didn't want to cripple myself too badly. The worst and most replacable 2 drop is Longtusk Cub. I like playing with this card, and sometimes it can perform well, but after first few turns it's usually a dead drop. Because of Smuggler's Copter looting capabilities, I've decide to put 2 copies of Fiery Temper for some additional reach and value. I added 1 Geier Reach Sanitarium to compliment that. Also, some card selection is always nice. Harnessed Lightning is a great piece of removal as well. As of 3 drops, Lathnu Hellion is a discussable choice. It's decent as a sweeper recovery or planeswalker revenge killer, and 2 energy is always useful. Thopter Engineer is just good all around and synergizes with many other cards. All 4+ drops are cards that are supposed to take over the game quickly if left unchecked, with Pia and Kiran Nalaar and Woodland Bellower being board stabilizers. Hasted Skysovereign, Consul Flagship usually wins the game on the spot. Ulvenwald Hydra is just a very solid 6 drop and can fetch Rogue's Passage. I guess that Combustible Gearhulk would also be a decent choice. This seems like a very similar list to the deck I brewed up - but I'm curious about a few choices (in fact, many of the specific ones you call out). First, is the Geier Reach Sanitarium + Fiery Temper package really worth it over Collective Defiance (even assuming you still run Copters)? Sometimes you get a lightning bolt (nice), sometimes you just get instant speed when you otherwise wouldn't, but sometimes you really miss out on the multiple modes. I'm a big fan of blind-wheeling my opponent's hand on turn 4-5, since the odds are very high that they've played all their lands and are holding gas. Second, I have trouble believing Lathnu Hellion gets it's money's worth. Yeah, it hits twice as a 4/4 - but your deck goes up to 6-drops. You're not an aggro deck. If you face aggro, you need to block - it's not great at that - and against control, it's a threat they don't have to kill. I'd like it a lot more with trample, but without... it feels like card disadvantage too often. I'm still uncertain about the ratio of Reclamation Sages to Thopter Engineers to Pia Nalaars (they're all fighting for the same spots, and are good in different matchups), and I don't know if Westvale Abbey is the best colorless value land, but otherwise I like the deck a lot. For those interested, a link to some of my better decks. If I ever built an Esper Control deck, it would still somehow contain 2x Sylvan Advocate, 2x Tireless Tracker, 1x Nissa, Vastwood Seer, 1x Reclamation Sage, 1x Nissa, Vital Force, and 1x Woodland Bellower. I think two Reclamation Sages are fine, especially in the current meta. As far as Westvale Abbey goes, what about Foundry of the Consuls? I want to make sure I can draw/mill at least one rec sage so that I can keep recurring it with Grapple. Thus one copy can become four or five copies - but only if I can find it. Foundry is interesting - it's certainly good with Copter / Engineer / P&K. I think it's worse long-term against control, but I could always go with the 1-1 split, since the second copy of each loses a lot of value. The real question is [1 Pia / 2 Engineer] or [3 Engineer] or [1 Pia / 3 Engineer / -1 Grapple]. Engineer makes a lot of the deck better, and I'd usually prefer a 1/3 to a 2/2 - but not being able to solo-crew the Skysovereign is a real cost. Pia's other abilities come up roughly never in situations that matter. This deck definitely has a spike feel to it - some small synergies (Tracker + P&K saccing clues is a delight, and a hasted Gearhulk is scary), but at the end of the day it's just a collection of individually powerful effects. It's a lot easier to draw well if you only put good cards in your deck! As amazing as Copter is, it's only good if you can reliably crew it - this deck doesn't have enough creatures to justify that, and most of those creatures are already bigger than the Copter. Fleetwheel is much better for our gameplan - hasty trampley high powered beats with some reusability is just what we need. Greenwarden is also a victim of the shift to a more aggro-midrange plan; a 6-mana 5/4 doesn't cut it. I dont see the benefit for "Grapple with the Past"? No Delirium cards in that deck? so for me -4 "Grapple with the Past" +3 "Blossoming Defense" +1 "Titanic Growth". I realy like the hexproof thing in a creature deck. I'm just playing Grapple as a good standalone spell here, roughly equivalent to a green Telling Time. It ensures your deck functions smoothly by finding you lands or threats, and it can recur cards that are troublesome for your opponent. I'm not sure if the full four copies are correct (I might drop one for the second Pia Nalaar) but it's never a card I'm sad to see. I did try some Blossoming Defense and found them mostly lacking. This deck doesn't really lose to spot removal - it loses to counterspells and getting run out of the game by aggro. Perhaps most importantly, there aren't any "must protect" creatures. We aren't running Spell Queller or Selfless Spirit or Fairgrounds Warden (not in duels), so Blossoming Defense is never more than a highly conditional 1-for-1 that requires us to play off curve. If you wanted to add any copies, I'd start with just one - the first one has the most surprise factor, and seeing more than one in a game is pretty bad. I'm just playing Grapple as a good standalone spell here, roughly equivalent to a green Telling Time. I never considered using Grapple like that. Cool! Actually I've played the deck a handful of times and it's another good/solid deck by Zerris. The deck definitely starts out slow and can be a bit of a concern when on the draw against aggro but it's surprising how quickly the deck changes the tempo of a game with it's haste and trample. I second the -1 grapple +1 Pia change. At least for testing. There's been a couple games where I sit on the grapple(s) for recursion use and then end up not using them. It's great at the start of a game to get things moving or great in a mid/late game when I'm behind but often not necessary the rest of the time. The deck has a few ways to generate advantage once it's going (both Nissa's, both Chandra's, Tracker and Bellower). Like Zerris said, I'm never disappointed to see the grapples, just not sure I want to see them as frequently. I'm surprised that Akoum Firebird doesn't make the cut (just based on the 'feel' of the deck). Could you consider say Oath of Nissa as your grapple option or is the recursion mid/late game more important? Maybe +Oath, +Pia, +Firebird and -Grapple? If grapple recursion is important, should the Greenwarden of Murasa make the cut for synergy? Greenwarden was in the deck before, but he just doesn't line up right for the meta. Most of the games that are going long enough that he'd be powerful are the same games your opponent is casting counterspells or Ulamog. Either way, he won't be winning you those games. Where Akoum is the card I'm least sure about. But I have been looking for a breaker against Esper Control, and it does fit the bill - they're basically digging to 2x Anguished Unmaking or Archangel Avacyn. These changes significantly increase the early game power level, at the cost of some lategame flexibility. It also lets Oath of Nissa hit 52/59 cards in the deck, which is real close to a 1-mana Anticipate with upside. I'd need to test more to see what I think of the tradeoff. Ran a couple games - Akoum Firebird feels bad. It's not a good blocker, and +3 haste damage is less than any of our other haste payoffs offer the turn we're trying to kill. Evasion isn't enough upside. Voltaic Brawler felt great, though - and having more early game interaction was nice. I didn't miss grapple as much as I thought I might, though I did miss Thopter Engineer a few times. The lack of ability to hold up both Harnessed Lightning and Grapple with the Past at the same time was the most noticeable cost, and I don't think that's worth the extra mana. Also, Pia Nalaar is a house, and we definitely want both copies. Additionally, swapping Westvale Abbey for the second Foundry of the Consuls; we're big enough on artifact synergies that it's definitely worth more. Untapping into Pia getting to nullify two blockers off your lands is just mean. All the add cards have worked great. The brawler is just a great 2 drop which the deck needed and works with the hub and lightning (all 3 cards gain additional value in energy flexibility). Oath does what it should and the additional Pia is worth it. I'm not entirely sold on the Collective Defiance cut yet. The card is flexible for quite a few situations but I did like the improvement in control with Thought-Knot Seer into the wheel effect. If it were to get crammed back in there, I'm not sure what the cut would be (and I agree, don't give up the engineers). Also I can see going to the 2nd Foundry of the Consuls with the loss of the grapples and the card having better synergy with the deck but I think I'll personally stay at 1 copy of Abbey. 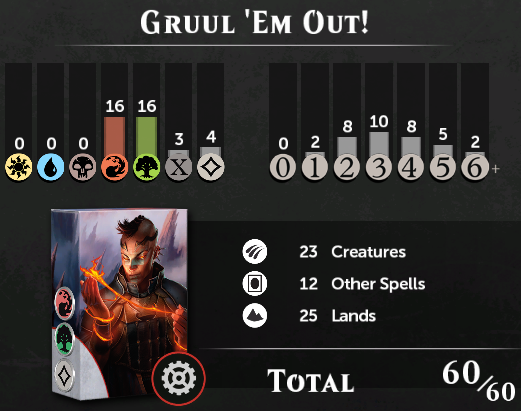 I haven't ever activated the 1/1 option in this deck (whereas I have used the Foundry several times and I know it will get more use overall) but Abbey's 2nd ability has won a couple games. I'm sure those games would have still got there considering how far ahead I was (we are sac'ing 5 after all) but finishing a game immediately versus giving them additional draws always seemed the better choice. It's definitely a more risk/reward option and it will be used less often than the Foundry (for sure) but a card that can win the game; on the turn it's played, without any real downside to the deck construction, seems worth the slot. My issue with Collective Defiance is that it seems to fall into the same trap as Combustible Gearhulk, which I also put in this deck more than once before playtesting and removing her. Again. The issue being that when it's good, it's really good. And you can easily tell when it was good. I once wheeled a control player for Linvala, the Preserver, Torrential Gearhulk, Glimmer of Genius, Scatter to the Winds, and Skywhaler's Shot. That was clearly such a high point that I still remember exactly what cards I hit. I've also 2-for-1'd Kalitas, Traitor of Ghet and Ob Nixilis Reignited. But that's not the average game. Most games, I cast it as a 3-mana sorcery speed removal spell for Thopter Engineer, or some equally derpy but slightly threatening creature, while being unable to kill the stupid Smuggler's Copter right beside it. And those games are a bit harder to remember - but in my experience, they're a lot more common. Defiance is good when the mode you care about most is 3 damage to the face - because that mode always works, and it always does what you want. But the modes we care about most are creature removal, planeswalker removal, and wheeling our opponent off Ulamogs and Gearhulks - and all of those modes are highly conditional. Even the play you called out - Thought-Knot Seer into Wheel - isn't a good use of resources, because you'd much rather be wheeling into Thought-Knot for maximum chance of removing their good cards. In which case, it becomes much easier to see that it's the Thought-Knot that did most of the work, not the Wheel. Conclusion being that it looks much better than it is. Mind you, it might still be good enough for the deck - but do some serious testing about how often it was good vs. not before you come to that conclusion. In my experience, it was the "worst" card in my hand more often than any other card I saw. The other card I'm rarely happy to see is Chandra, Torch of Defiance, so there might be a better replacement for her too. But I also think that might just be me missplaying her and trying to get value when - ~80% of the time - just using -3 and letting her die is the right play. On an unrelated note, these have to be the most balanced color and mana cost distributions I've ever seen in a deck. 2/4 losses on steam Esper control, Bant tempo, Grixis control, Grixis Thopters. Cool midrange deck though, very well built. Only remark I have is running so many thopters but 0 copters feels wrong. I know it's curve reasons, but it's still odd. Copter certainly deserves consideration, and I had it in a previous build. The issue is that there aren't enough creatures that want to crew it. Assume we replaced our Fleetwheel Cruisers with Smuggler's Copters. How many creatures would we want to crew the copter with? Let's assume that Copter is worth the loss of a creature on defense if that creature had 2 power or worse. Sylvan Advocate is sometimes good and sometimes bad, so I'll count it as half a creature. Which gives us 14 "good" crew draws. Let's further restrict this to just cards that can come down on curve alongside a copter - on turns 1, 2, or 3. Those are your 9 "ideal" crew. Not a lot, but not impossible. So, 14 Good Crew, 9 Ideal Crew. Now, for comparison, let's look at some of the best pro tour decks that ran Copters and were not using them for madness (which adds a different dimension of value). Obviously they have a larger card pool, so we'd expect them to be a little better, but let's see how the numbers match up. So, 25 Good Crew, 19 Ideal Crew. How about Makis Matsoukas' 8-0-2 Red White Tokens Deck? 21 Good Crew, 19 Ideal Crew. 19 Good Crew, 14 Ideal Crew. Although, a lot of his Good Crew are close to ideal - Gideon and Sylvan Advocate aren't far off the mark. The numbers of crew are pretty varied, but we can get a good idea for the target. In order to run this card as a 4-of in competitive standard, you want to have ~21 Good Crew and ~18 Ideal Crew. We have 14 and 9. Now, we are also only running 2 copies, and we have fewer powerful cards to choose from, so a weaker copter might still be good enough. But we're not even *close* to where we should be on crew. Frank Karsten evaluated this in a very different manner, but the results are nearly identical - all of these decks (and ours) are running ~4 vehicles, and thus want ~18 crew targets. We are, by this metric as well, horribly below the mark. Now, for comparison, let's check our Fleetwheel Cruisers. For this to be good, we need to have creatures with 2-4 power who can be cast on or before turn five. We also get one free attack out of it, and it has haste / trample, but it doesn't loot or fly. Let's call that a wash for now; all the effects are very good in our deck. 25 Good Crew, 21 Ideal Crew. Hey look, we're even above where we should be! 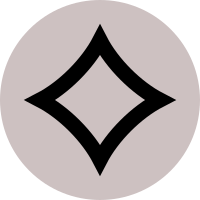 How about Skysovereign? Here we need crew with power 3-5 and playable on or before turn six. 20 Good Crew, 19 Ideal Crew. Right on track, especially given that our lesser creatures (not listed here) can pair up to crew it for value. Copter may be the more powerful card, but our deck is not well designed to play it. By comparison, we are perfectly equipped to play our other three vehicles. Fair enough, but the free mulligan in duels and the need of this deck to get its curve going or combat flood are arguments against the straight number crunching. Those decks you quoted ran 4 copters, not 2 I agree that your ideal crew is on the low side, but your number of acceptable crew is just fine for 2 copters only and fills an important bridge role in the deck imo. I am not proposing to run Copters in addition to the Cruisers, but to replace them. Cruisers are better for curve as stated before, but they are a replaceable effect. Copter, not so much. You're welcome to try it; my experience was that it sat uncrewed on the side too often, though that was before I added some of the new creatures. I also, at least in the case of Copter, prefer the ideal crew math to Karsten's math, because of the looting effect of copter. Just like decks that played 4x Jace, Vryn's Prodigy or 4x Nahiri, the Harbinger, nobody really wanted to draw multiple copies. But they wanted to draw the first one so much that it was worth it, since it could loot away all the rest. Copter is the same - if you draw multiple copters, that's fine - the first one deals with it. But if you draw too few crew, copter can't fix that problem because it can never loot in the first place. As a result, I think "lack of early crew" is a much bigger worry than "too many vehicles", and Ideal Crew is the best measure of the chance that your copter never gets off the ground. Unless it's necessary to stop a precieved tempo swing or I'm on the back foot, I wouldn't cast it for the 3 mana. I'd rather hang on to it for at least two modes and be looking for harnessed lightning for the derpy removal. At that point, 4 mana for two of those abilities seems good value. Even the play you called out - Thought-Knot Seer into Wheel - isn't a good use of resources, because you'd much rather be wheeling into Thought-Knot for maximum chance of removing their good cards. In which case, it becomes much easier to see that it's the Thought-Knot that did most of the work, not the Wheel. I wheel you and then wreck your new hand or I look at your hand and realize I don't have the answers/it's too strong and wheel you is just fine by me. Meta aside, there's a lot of scenarios you can face and without sideboards, cards that fit the deck and cover multiple cases have great potential. It's not like the card sits in the hand even if it doesn't maximize that potential (and rarely do I feel I'm trading down since it's used with two modes). Mind you, it might still be good enough for the deck - but do some serious testing about how often it was good vs. not before you come to that conclusion. Without a doubt. I'm a firm believer in testing and being critical of choices. I try my best not to have preconceived notions or expectations. I will test as it appears and report from there. I was generally happy with the cards I saw and managed to work through most of the games without 'wishing' for Defiance. Having said that, there were some that did come up and in those I switched to begging for a 'Chandra' to show up. With that, it made me notice how I was using 'Chandra's' more for removal than advantage/pressure (it didn't seem that way prior but that could have just been game circumstance too). It makes me wonder if removing the Defiance has given away too much direct interaction and shifted the use of other cards? Again it could just be circumstance or a perception bias so take it with a grain of salt while I'll grind a handful more games. Well, Chandra, Torch of Defiance is probably the right cut. She isn't really pulling her weight, as much as I want her to be a good card - I'm almost universally happier to see Arlinn. A direct cut for the very similar Collective Defiance wouldn't be a terrible idea; Collective is probably better than two Chandra activations (and significantly better than one). Given you don't get three activations in games you weren't already winning by a lot, the biggest loss is not finding it off Oath of Nissa. Can't spot an easy second cut, but some more playtesting might reveal one. There's also some chance that an Eldrazi Obligator is right for this deck. If you're looking to win some combat races, well, that card will do it. Interaction with Ulamog is also adorable. Zerris, you're using my in-game avatar. You must change it.